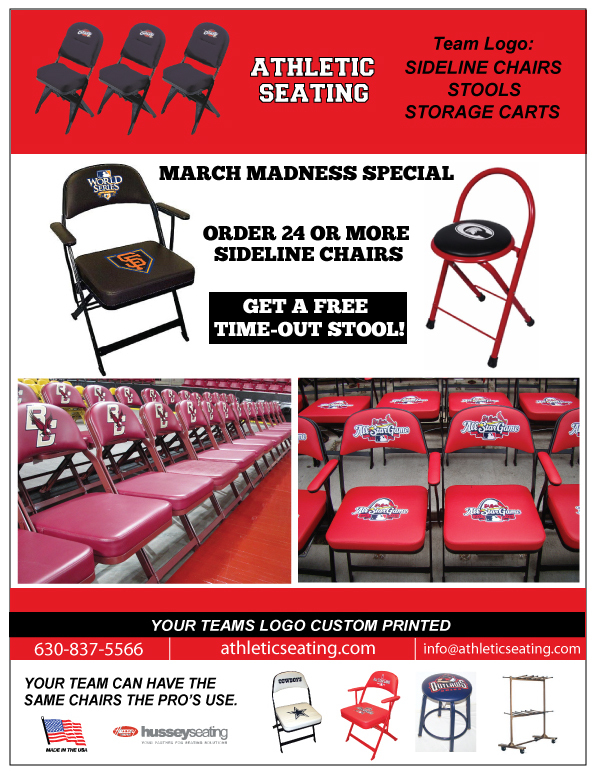 Buy 24 Sideline Chairs, get 2 Free!!!!!! From today until Sept 30th, if you order 24 Clarin Chairs or Stools, you’ll receive 2 free. If you’re thinking about new seating for your sideline or locker room, nows the perfect time to act. These kind of specials don’t come around too often…..act now! Call us or e-mail us….don’t wait until the sale is over.